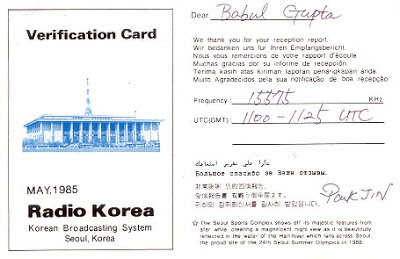 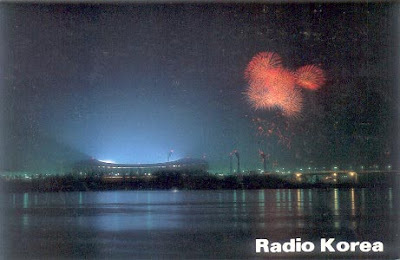 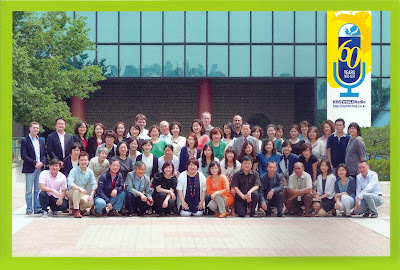 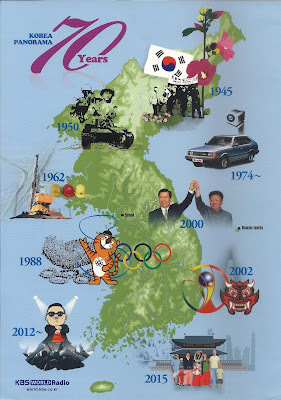 Radio Korea: 15575 kHz, 1100 hrs to 1125 hrs UTC log on this station on 20th May, 1985. 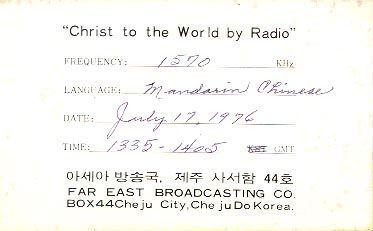 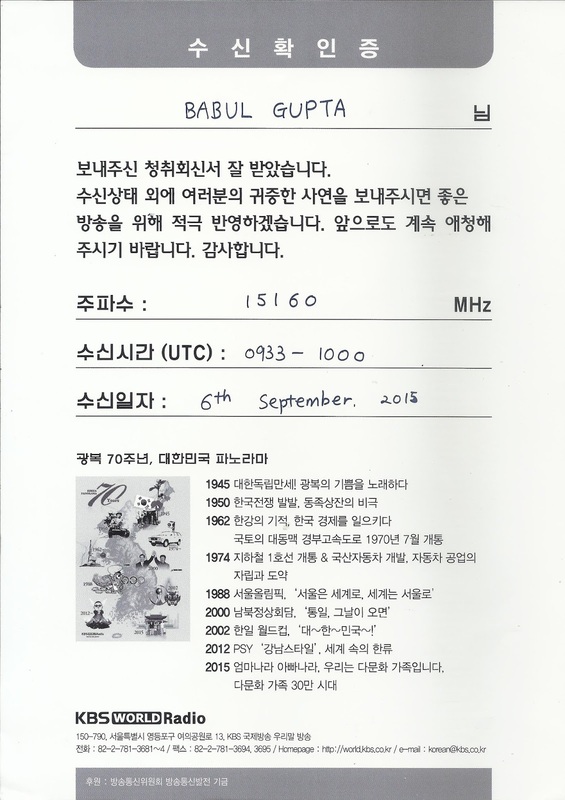 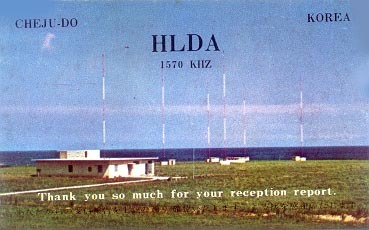 HLDA - KOREA: Far East Broadcasting Co., 1570 kHz medium wave, 1335 hrs to 1405 hrs GMT log this station on 17th July, 1976. 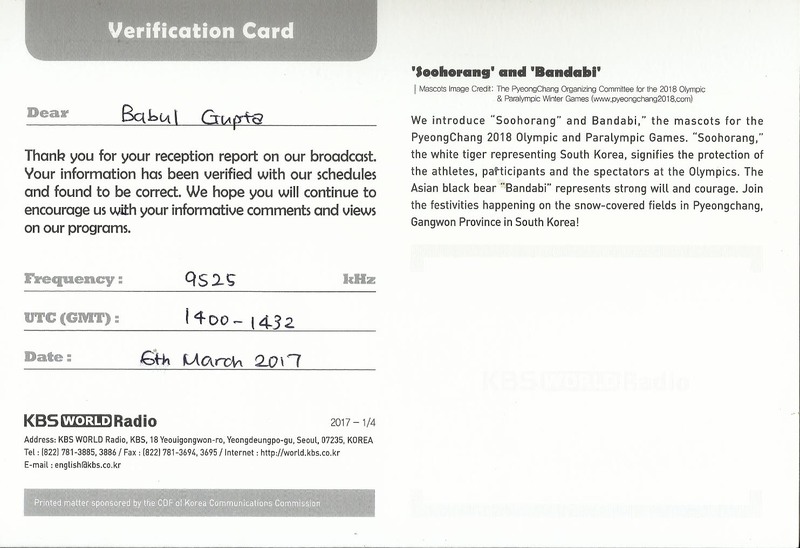 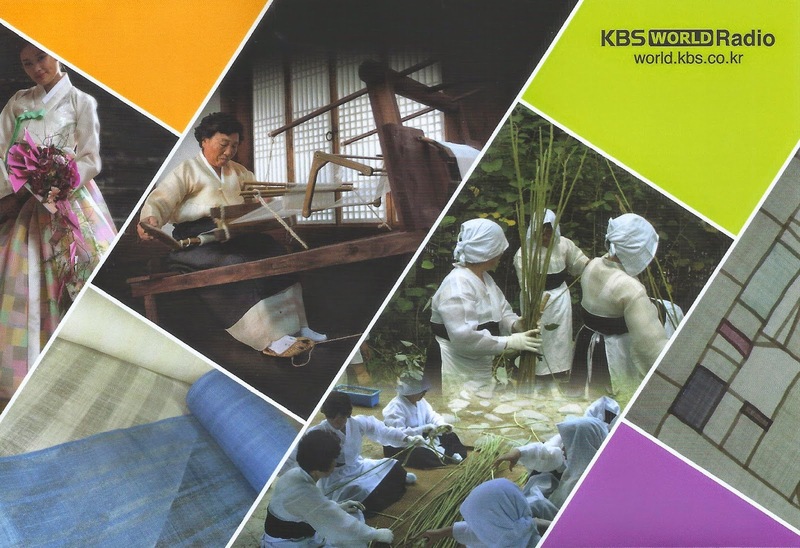 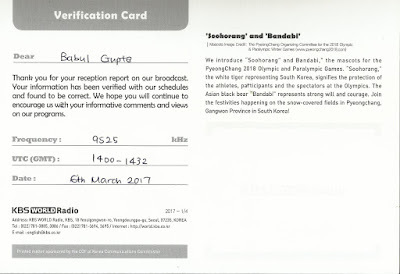 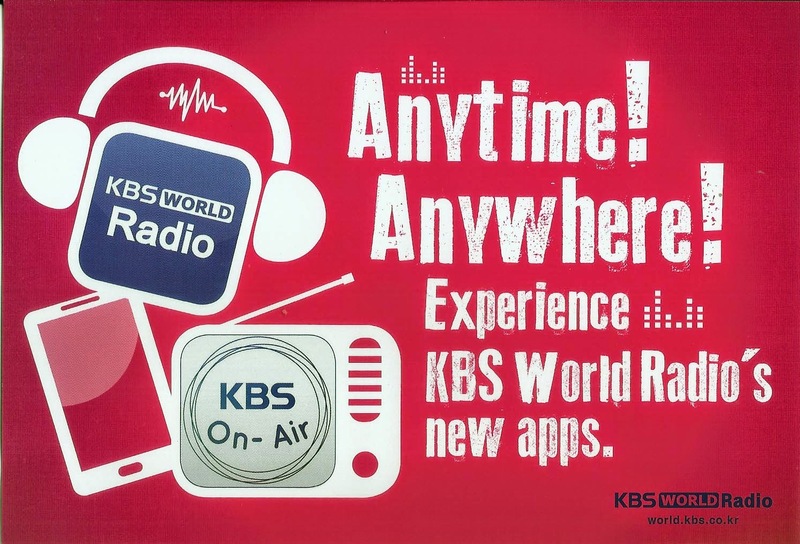 KBS World Radio: 9570 kHz, 1300 hrs to 1400 hrs UTC log on 11th July, 2012 and f/d QSL card with stickers arrived on 2nd August, 2012 for my email report. 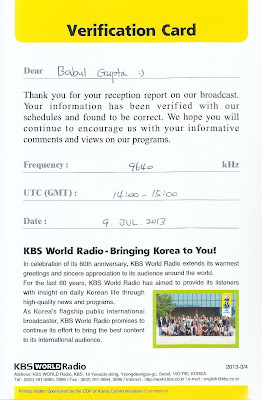 KBS World Radio: 9640 kHz, 1400 hrs to 1500 hrs UTC log on 9th July, 2013 and f/d QSL arrived on 5th August 2013 for my email report. 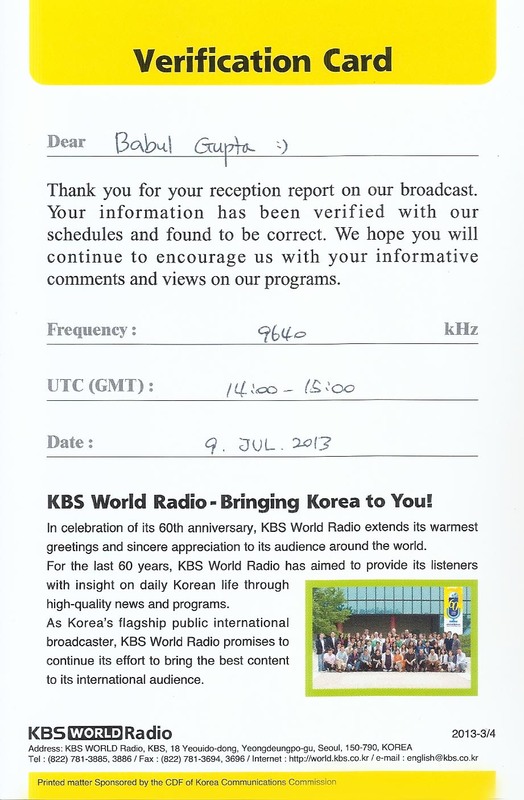 KBS World Radio – 9640 kHz, 1400 to 1500 hrs UTC in English log this station on 31st July, 2013 and f/d QSL card with beautiful Pennant arrived on 28th August, 2013 for my e-mail report. 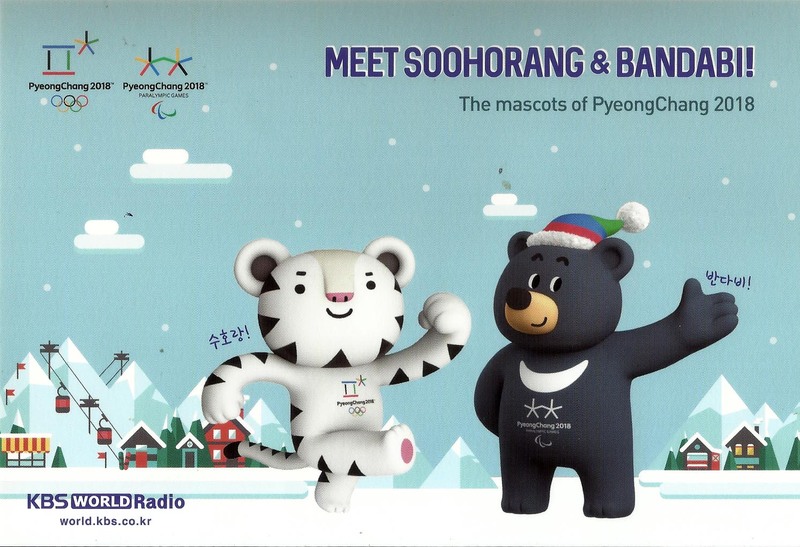 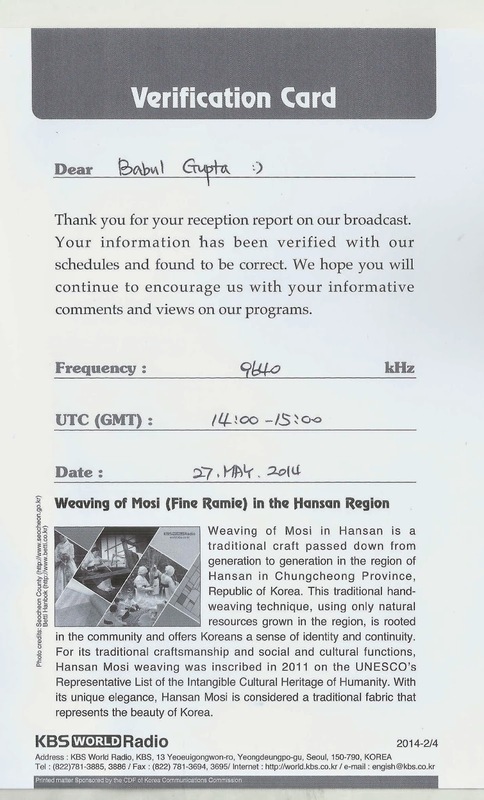 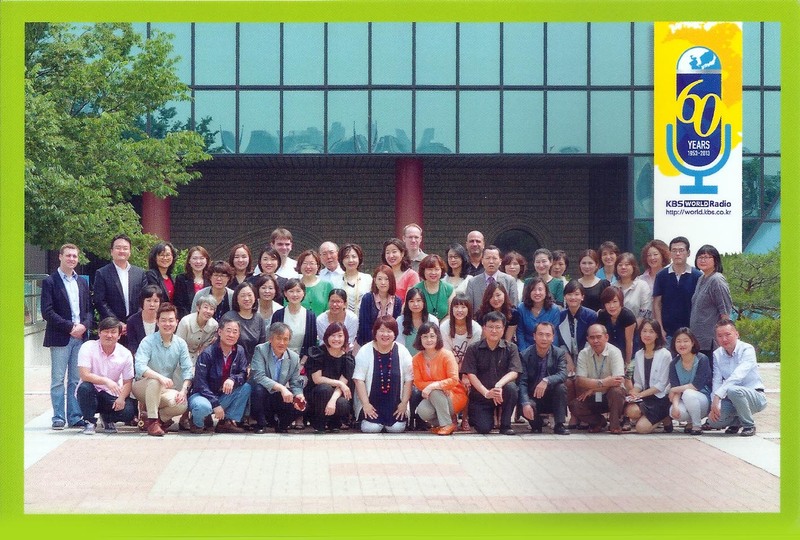 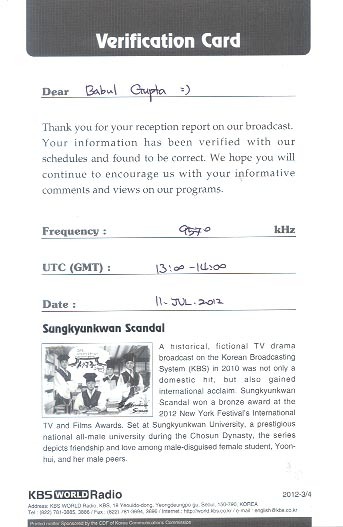 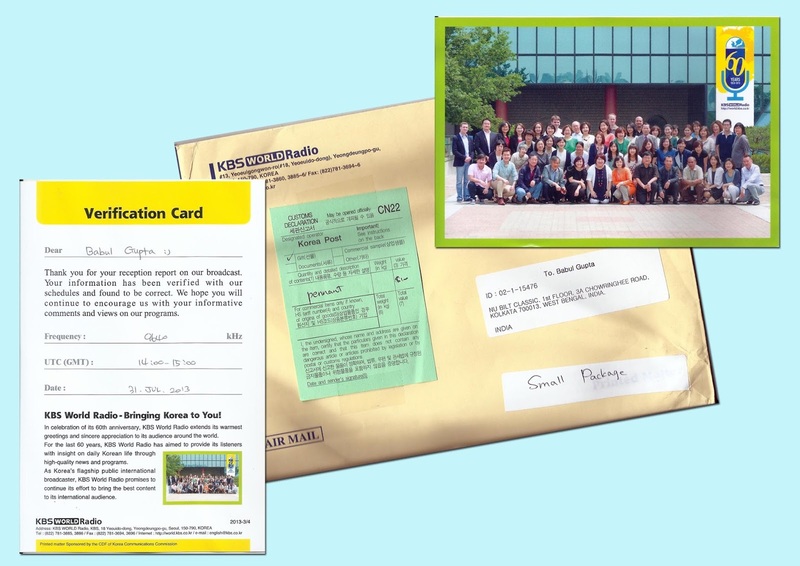 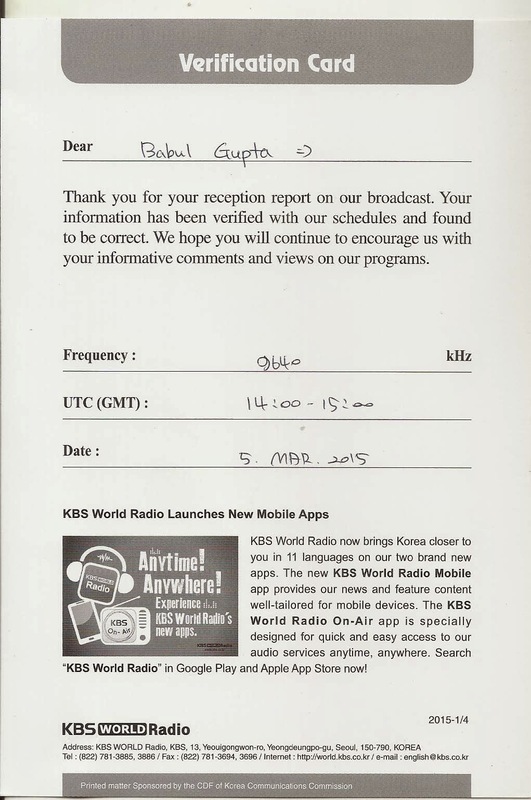 KBS World Radio - Kimjae: 9640 kHz, 1400 hrs to 1500 hrs UTC log this station on 27th May, 2014 and f/d QSL card with program schedule arrived on 7th July, 2014 for my email report.